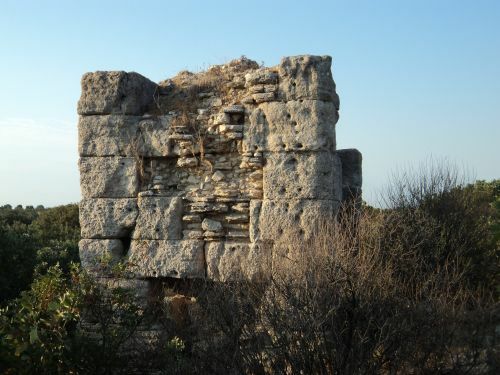 Alexandria Troas is about 13km from Tavakli in Dalyan Village. 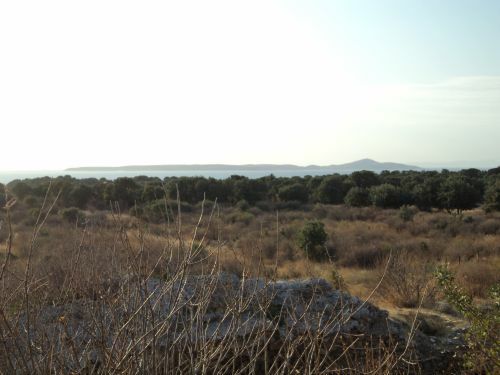 This is the site of an ancient Greek city, situated on the Aegean Sea. It was founded in 306 BC by Antigoneia Monophthalmus, a commander serving under Alexander the Great. Although the original name was Antigonia it was re-named Alexandria Troas by Lysimachus. 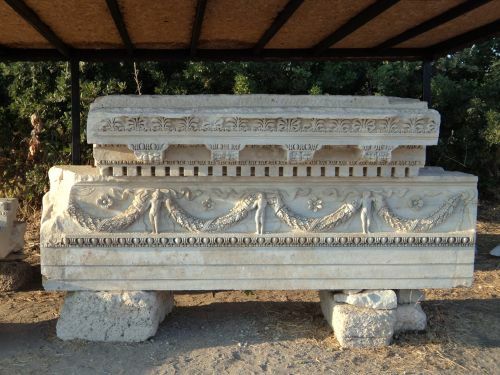 Alexandria Troas is in the Ezine district in the province of Canakkale. It is very close to Troy, the town that was believed by many to have been the mother-city of Rome. 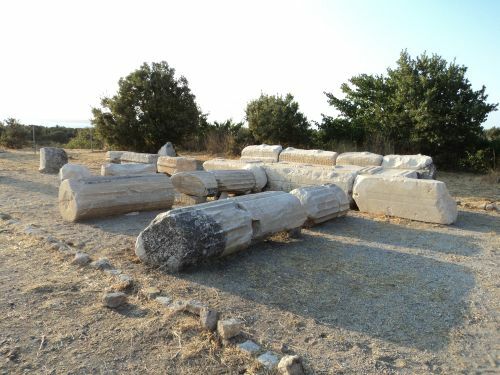 In its prime, granite columns were sent to Rome and other cities of the Roman Empire and this was one of the largest Greek cities ever to be established in Anatolia. It was one of the main ports of the region and at the height of its glory it may have had a population as high as 100,000. Constantine had even considered making Troas the capital of the Roman Empire before deciding on Byzantium, later re-named Constantinople, modern day Turkey’s Istanbul. During Roman times this port was visited by Paul of Tarsus and Ignatius of Antioch. Over years the importance of the city declined. Sometime during the Byzantine period the city was either destroyed or abandoned. The Ottoman period saw Karasi Turkmens settling in the region during the 14th century. 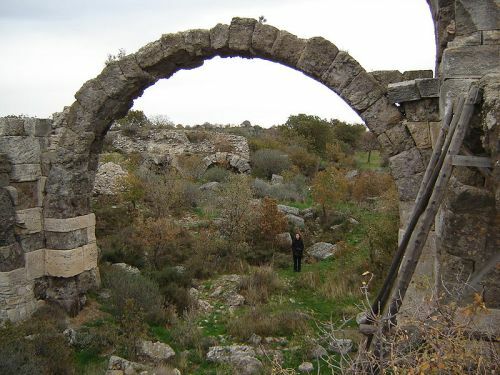 The ruins were known to locals as Eski Stambul ( Old City ) and much of the stones were re-used for building works elsewhere. It is well known that Mehmed IV took columns from this site for his Yeni Valide Mosque in Istanbul. During the 18th century the site became a hideout for bandits. In more modern times the site became overgrown and covered in trees and grassland. Much of the stone has been removed. Some parts have been found in better order than others and the bath and gymnasium complex is known locally as the Bal Saray ( Honey Palace ). Excavations are taking place at the site. 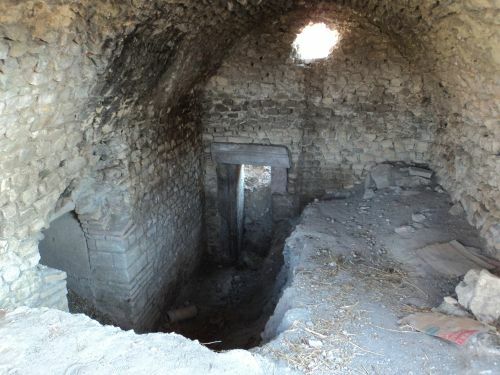 Visitors can see the remains of several large structures such as the palace, temple, theatre and baths and more recently a stadium which has been uncovered. The site extends over an area of some 400 hectares ( 1,000 acres ).